Inbound marketing is a strategy that makes use a wide variety of different marketing tools, including content marketing, blogs, events, SEO, social media and more. Where paid advertising can improve a brand’s visibility in the short term, the purpose of inbound marketing is to increase a brand’s discoverability in the long term, and in doing so, attract new business. Outbound marketing – that is, where you go out there and try to hook the customer, distracting them from what they were doing and making them pay attention to you. This approach means you effectively ‘interrupt’ your customer, and has been called ‘obstructive’ marketing by some critics. 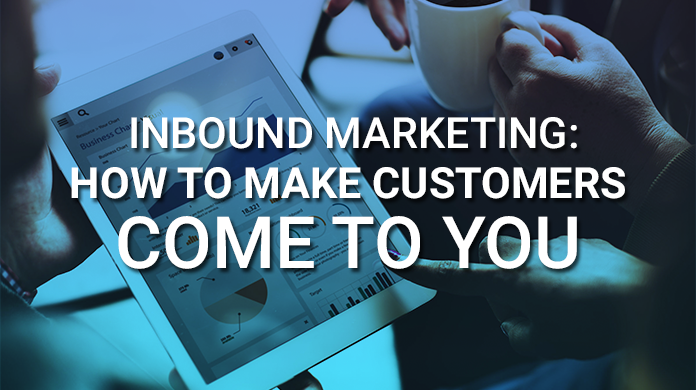 Inbound marketing, on the other hand, seeks to earn the customer’s attention by providing them with real value. Through the power of search engines, social media and other touch points, the value of this content can continue to grow over time, as long as it continues to be relevant and helpful. This reveals another important point: inbound marketing can continue to work after you’ve paid for it. Outbound marketing ceases to work as soon as you stop paying for it. What’s more, outbound marketing is faltering, especially with younger generations. 85% of people now fast forward through commercials, while 84% will navigate away from a site with too many ads. With benefits and opportunities growing all the time in inbound marketing, it is now one of the best ways to promote your business. Isn’t it about time you took advantage of this great strategy with some approaches of your own? Seth Lui is a Singapore lifestyle blogger. His content includes information on where to go for nice food, as well as travel advice and recommendations. Seth introduces and rates a wide range of establishments on his site, and provides a platform for cafes and restaurants to introduce themselves to new audiences by inviting him to review. With over 1 million unique visitors and over 4 million pageviews each month, the site is the biggest food and travel blog in Singapore. The site also includes F&B resources about marketing and food industry. In this way, Seth Lui has set itself up as both influencer and consultancy. They demonstrate the power of inbound marketing through their own site, before selling inbound marketing consultancy to the businesses their work directly benefits. ZALORA Singapore has created the ZCOOP blog, providing exclusive content from the fashion community to the fashion conscious. The blog gives value-added insights on the fashion industry, the latest trends, how to combine items to create new looks, as well as industry news and developments. The blog successfully attracts nearly 20,000 visitors and 100,000 pageviews a day from people interested in fashion, who end up spending far more time on the ZALORA site, coming to trust them as authorities in the field. This high performing blog has helped make ZALORA Singapore the focus of the company’s development for the future. Innocent have mastered the art of tone of voice. By keeping a consistent tone of fun and friendliness, the company has created a great many marketing successes through their social media. They often post amusing content that has nothing to do with their product, and have a section on their website called “Bored?”, which has a catalogue of fun multimedia content to explore. All this on top of their usual blog and ‘compliment generator’ which creates branded cue cards. Innocent is a UK brand, and it’s tone of voice has enabled it to break £300 million (1.7billion RM) in sales in one year. So, now we have some great inspirations proving how lucrative inbound marketing can be, we can look at the inbound marketing tools that are available to us. Remember how at the start I talked about inbound marketing being the art of making a brand discoverable? That art all stems from Search Engine Optimization. This describes both the art and science of making a website easily discoverable by search engines for key terms that your audience is searching for. If people find your brand while looking for a solution to their problems, then they are already more likely to visit your site, spend time on it, and even engage with your product or service. SEO uses keywords, and there are many tools and approaches that can help you make the best of the available keywords. You can use a free website SEO checker from SEOPressor to see how well optimized your site is, and how easy it is to discover you. Social Media is a powerful platform for your messaging, provided you go about it in the right way. Inbound marketing on social media amounts to communicating with your audience in a real and immediate way. You also have to make sure you keep everything short, sharp and snappy. Social Media offers a powerful way to develop a relationship with your audience and show a real brand personality. It also allows you to introduce yourself to new audiences through shareable content. As soon as you create value, that value can take on a life of its own across Social Media, and spread through your followers to their followers, broadening your reach considerably. Content is king – it’s an adage as old as the internet (or at least Web 2.0). It’s still true to this day – after all, both social media and SEO require content to function. As such, it is at the heart of any inbound marketing strategy. Writing blogs, and ensuring you have a regularly updated stream of content, is essential to a successful inbound marketing strategy. Your content needs to include a few key things, namely: real value, a unique perspective, and beautiful presentation. It is long overdue to rephrase that old adage: quality content is king. Especially in the current environment. We are in the middle of a ‘content crunch’ – a time where appetite for content and the volume required to compete far outstrips most company’s ability to create content. As such, a focus on quality is the only way to make yourself stand out from the crowd. Content can be any form of media with value, whether text, images, video, interactive multimedia, or a combination of all these. Press releases are an invaluable way to maximize your visibility online, combining the performance of paid advertising with the lifespan and benefits of content marketing. You can get a press release distributed to hundreds of newswires through PRWire Asia – we even have professional, expert writer to help craft it for you. Moreover, press releases use high authority, high traffic domains to seed your website and create backlinks, while introducing you to new audiences searching for goods and services like yours. PRs are not only good for attracting audiences, they attract investors as well, scouring the news for the latest developments that might have potential. So, now we have an idea of the types of approaches available to us, how can you successfully utilize these to increase your traffic and make customers come to you? Another old saying – if you can’t explain it to a five year old, you don’t understand it properly. Perfecting your pitch means condensing the values of the company and the usefulness of the product in a simple, concise explanation. If you’re doing it right, you should be able to get across the “who, what and why” in a single sentence. Specifically, that’s who you are, what you do, and why people should care. By mastering conciseness in your messaging, you not only make your products and services seem more compelling, maximizing engagement, you also teach yourself a valuable discipline that will make your content as valuable and high-quality as possible. This single “brand statement” can also allow you to nail down your tone of voice, and set expectations for the company personality and vibe. Minimalism means making each element present work as hard as possible – this single pitch will be foundation from which all your other expressions grow from, so spend some time on it. Every profile, whether it’s Facebook, Twitter, Instagram, LinkedIN or your About Us page, has a different purpose, audience, and house-style. Hashtags on Twitter? Yay! Hashtags on LinkedIN or Facebook? Boo! You need to spend time mastering each profile – as it’s one of the first things potential customers will come into contact with. If they aren’t impressed by what they see, you are wasting potential leads. So, tailor each profile to the specific audience’s present, and their expectations. Repeat enough messaging across each that people discovering you on multiple platforms will be able to connect the dots, but place the emphasis on what will matter most to that audience. Syndicate all your blog and other content to your webpage, so people don’t have to look so hard to find it. Develop your links, whether it be followers, friends or connections, across every touchpoint, to give you the largest ‘starting network’ possible. This will increase the chance of your content being shared. Like Innocent’s ‘compliment generator’, you shouldn’t put anything out that isn’t branded. That counts for your blogs, your images, your infographics, you videos, your social media posts. Anything you create, put your name to it. What’s more, if you have customers, motivate them to take pictures with your branded products through competitions to increase the social content you have to work with, without having to generate it yourself. If you have clients, ask them to list your logo and website on their ‘partners’ section, and ask them for testimonials which become shareable content across all your channels. You have to ensure that everything you create leads back to you and can be visibly identified as part of your brand. That way, if anyone recycles your content for their own purposes, they’re essentially giving you free advertising. Getting people to come to you starts with people being aware of your existence. For that to happen, you need to look at the kind of blogs and websites your users are visiting, and contact them with an offer to write a feature that provides real value. Target only those with much higher traffic than your own site. Include backlinks to your site and profile about your work in the article. Guest blogging allows you to demonstrate your expertise on popular blogs that your customers already read. You are going to where your audience are, so that they can discover and engage with you. Think of these article as a trail of breadcrumbs that leads people to your product or service. The best way to make your content convert is to solve problems for your potential audiences. If you’re a “freelance copywriter”, so are tens of thousands of other people. You’re unlikely to be able to rank for that keyword in a high enough spot for it to count. So instead, offer ‘ten copywriting tips for beginners’, or hell, ‘inbound marketing tips’ like these, and then genuinely answer the problem the reader has. Hopefully we’re deep enough into this article now that you feel like you’ve learned something, or at least have more confidence in the strategy you’re thinking about using. The whole premise of inbound marketing is that now you’re here, you’ll trust that we know what we’re talking about and that our solutions could be of value to you in implementing this strategy. Let us know in the comments if you found this helpful! The problem we’re answering here is: what is content marketing and how can I do it? I hope we’ve begun to give you a clearer idea of the answers to those questions. Your business will solve a different set of problems, and your content can help people solve these and other related problems. Audiences will thank you for it, and you’ll rank much more easily with a great ‘how to’ keyword than a generic, industry wide umbrella term. If you’re wondering how to get more customers, earning their respect and gratitude is a big part of it in 2017. Remember, we talked about how quality content is king – only by providing the best answers will your content have a long life after it’s published. Quality content continues to be valuable for a long time. Just as the ancients described that all roads lead to Rome (because the Romans invented roads), you need to create as many separate paths to your company website as possible, so that people can follow those paths and discover you at the end of them. I hope this blog has proved helpful in understanding how you can go about doing that, and what you need to achieve to make it successful. If you remember nothing else, remember press releases from PRWire Asia are a great idea. Hopefully however, you’ll remember much more than that. Have you found different advice online while searching for inbound marketing strategies? Share it in the comments below and see what our community thinks of it. Is there anything you didn’t understand or would like to see developed further? Tell us so we can plan our next high quality blog post!